Partly cloudy. High 63F. Winds SSE at 10 to 20 mph.. This family owned business believes in the community and superior customer service. 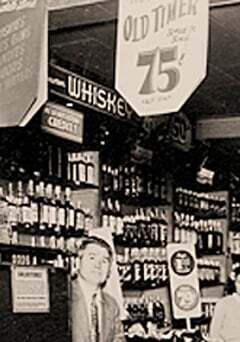 That, along with the largest selection of beer, wine and spirits at every day low prices, makes Timer's a driving force and market leader for over 80 years. As time progressed, a tiny store on a busy corner led way to a new store built in 1955, and a new generation of the Timer family came on board. 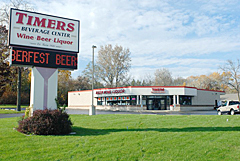 The business continued to grow and in 1995 a new 12,000 square foot facility was built on the edge of Racine's west side. Today the business remains family owned, with Ed Fahnrich Jr., a great grand son of Joe Timer, along with Shawn Voss co-owner. Both being responsible for daily operations. These two are the wine and beer experts who assist customers to match the right purchase for their menu.